I advised the spare from a 1996 sedan does not fit even if I take all the air out, the parts guys were in disbelief. LOL. 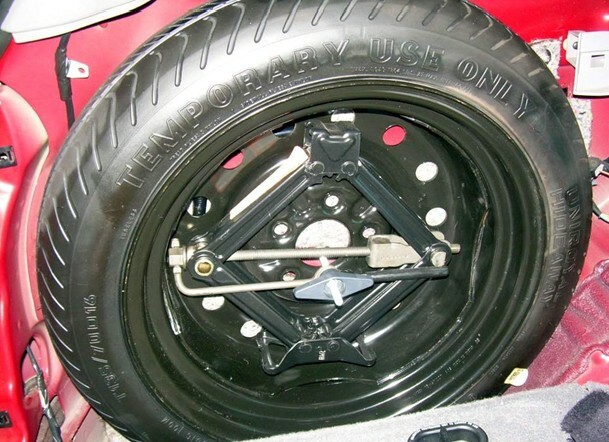 Oh well, I guess I am putting the old 911 collapsible tire there and get Pops a portable compressor. Going to visit FORDS ONLY in Wilmington, maybe they can shed some light to this weird thing. By chance do you have the size of that Uniroyal tire? I think it is the same as mine. 135/90/15? BTW, I noticed you are not using the black plastic cone whee guide, maybe a Gen4 thing? Last edited by Draco911; 04-06-2019 at 10:50 PM.